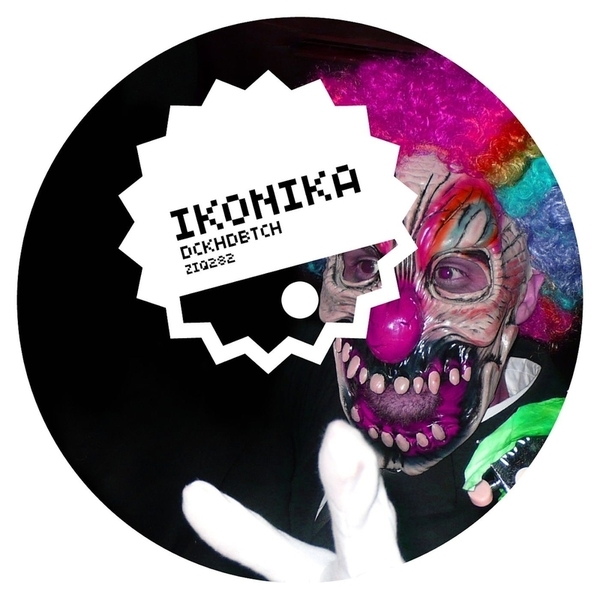 Ikonika's profile continues an upward trajectory with three bittersweet dance injections for Planet Mu. Trailing a debut album and blazing remixes for Detachments, Oriol and Egyptrixx, 'Dckhdbtch' shows no sign of letting up, staining caustic, soca-synced beats with the fluorescent tears of her trademark lead melody, before the loose techno swagger of 'Ingredients' is deftly offset with bobbling strings and a fragile mid-section of swirling synths. With 'Shouldn't Be Here' the eye-watering synths are replaced with swooning cinematic strings and a pendulous subbass before a lone synth melody crops up, a florid Mid-Eastern signature buried under Burial-esque vox and a fine mist of textured crackle. Hankies out.